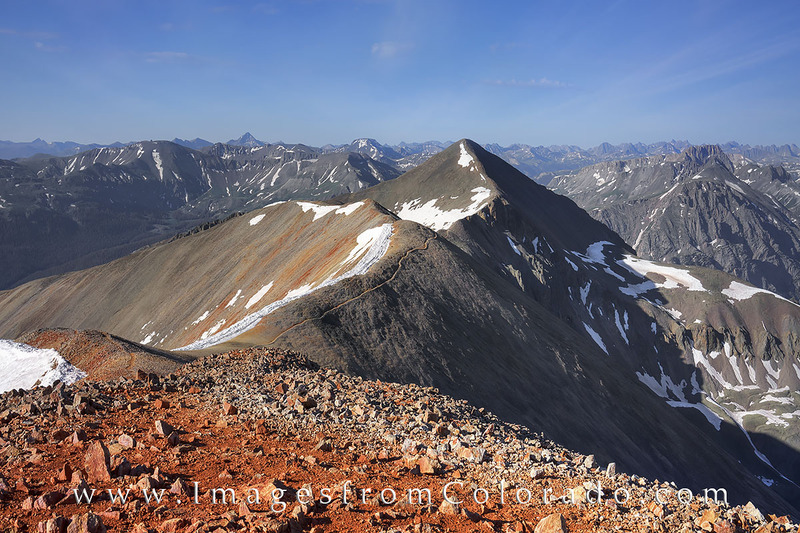 From the top of Redcloud Peak at 14,034’, this image looks across the ridge leading to Sunshine Peak at 14,001’. These summits are two of Colorado’s 14ers and are within easy driving distance of beautiful Lake City. Photo © copyright by Rob Greebon.